Organised by ThoughtWorks, XConf is a conference created by technologists, for technologists, who care deeply about the craft of software and its ability to make the world a better place. 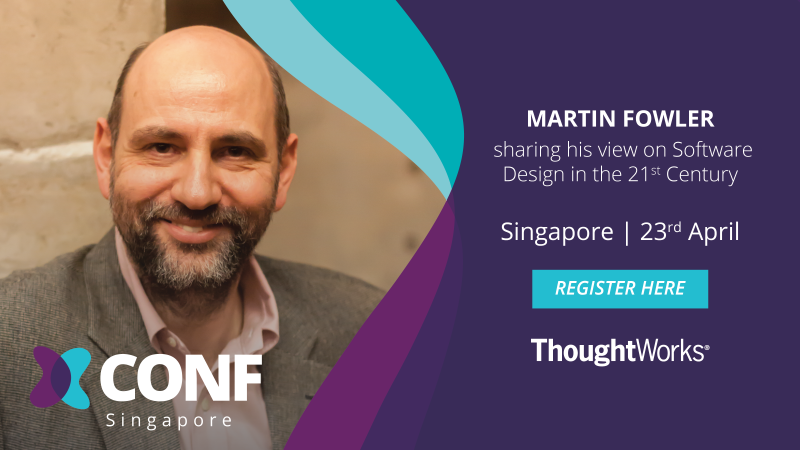 Join us at XConf Singapore with Martin Fowler, Chief Scientist at ThoughtWorks as our keynote speaker! Listen to ThoughtWorkers and guest speakers share their knowledge and experience on data, machine learning, product innovation, and much more!